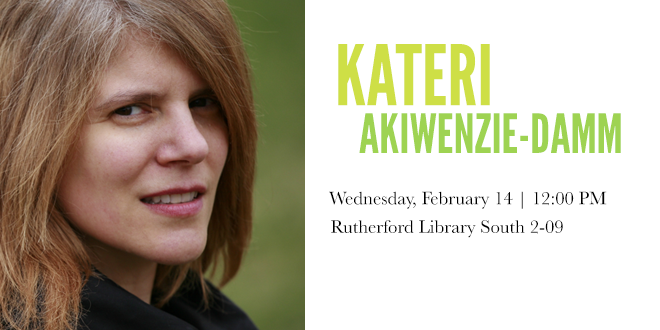 Please join us on Wednesday, February 14, 2018 at 12:00 pm (noon) in Rutherford Library South 2-09 for a Brown Bag Lunch with poet, spoken-word artist, publisher, editor and collaborator Kateri Akiwenzie-Damm. All are welcome to this free event. Refreshments will be available. A question period and door prize will follow the reading.